Energy Storage Forum focuses on providing carefully researched conference content for our attendees. In our conferences, we bring together worldwide experts and also involve them in co-creating conference topics. The conference topics are created with advice from key players like the utilities to ensure that we provide valuable content that can be immediately applied to varying organizations needs. 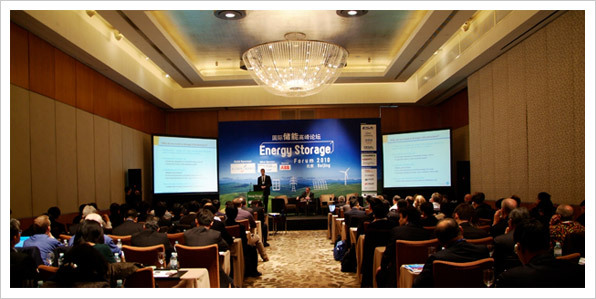 During the event, we provide a variety of content, ranging from Energy Storage Conferences to Training Courses. In addition, we provide the flexibility to allow you to select the type of format you prefer in acquiring knowledge about Energy Storage Solutions. "Full of energy, vision and passion for the job, Davide is an asset to any relationship or business. He’s a natural with people and ‘gets’ business. A smart player in a complex world"
If you are keen to view more pictures, we recommend visiting our Energy Storage Forum Photo Gallery. Copyright © 2010 Dufresne. All Rights Reserved.